Stacey Watson joined the College of Computing and Informatics as a Lecturer in the department of Software and Information in Fall 2016. 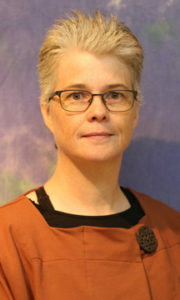 Stacey taught Advanced Placement classes for Apex Learning for twelve years before earning her Master of Science in Applied Computer Science with a concentration in Information Assurance at Columbus State University in Georgia. She then worked her way up from an IT Security Analyst to a Senior IT Security Engineer in a number of multi-national corporations in the financial, technology and hospitality industries. For much of that time, Stacey’s focus was on vulnerability management and network penetration testing and on creating dashboards and other visual representations of vulnerability data.